The arrival of autumn brings with it the longing to bake more pies, cook rich and hearty dishes, like stews and endless cakes. Spices are an ideal way to add extra aroma to everyday dishes. Add a depth of flavour to your favorite bake and spice up cookies with sweet cinnamon, aromatic nutmeg or mildly-sweet allspice! The aroma of these gorgeous cookies tells you that autumn season is in the air! Fill your home and heart with wonderful fragrance and warmth! First, I poached dried figs in cognac and sugar, and only then I chopped them and add to the cookie dough. You can substitute alcohol with water. Store figs with liquid in the fridge. You can serve such figs over the yogurt or cereal, alongside cakes and pancakes, or even add to the roasted chicken or pork. Whirls/Cookies dough. Yield 8 pieces approx. In a small saucepan add water and figs, bring to boil on medium-high heat. Add sugar and cognac. Figs should be lightly covered in a liquid, if it’s not enough add more hot water. Reduce heat to medium-low and simmer for 15-20 minutes or until figs are tender. Turn figs once or twice so each side is poached evenly. Let it cool, then transfer to a small jar. Keep in the fridge until ready to use. In a mixing bowl beat butter with sugar until pale. Add egg and gently mix. Then add sour cream and combine. Combine flour with baking powder, salt and spices. Add it along with nuts and figs to the cookie dough. Mix a soft dough. Cover, let rest in the fridge for 10 minutes. Tear 2 small balls from the dough. On a lightly floured surface roll out each piece into rope-shape (I made the length 25cm each), spin around each other and join the ends. Line the baking tray with baking paper. Bake in preheated 200C/400F oven for 20 minutes. Let it cool a bit for 5-10 minutes. Sprinkle with icing sugar, if desired. Serve warm or cold with a glass of milk. I’m bringing these delicious and beautiful cookies to all lovely guests at Fiesta Friday party! Let’s eat, drink and have fun! Oct17October 17, 2014 • By milkandbun • This entry was posted in Cookies, Desserts, Russian cuisine and tagged autumn recipe, baking, cookies, cooking, fall, fig cookies, food, food and recipes, food photo, food photography, food styling, nuts, photography, photos, poached dried figs, recipes, Russian, Russian recipe, whirls. Bookmark the permalink. They look beautiful and I love anything with figs and nuts. Thank you! I do like figs too! How wonderful, I love figs and nuts a lot (I have made a tart from fresh ones) but these will be gorgeous anytime but I am thinking Christmas and they are now on my list. Looks beautiful and sounds yummy! Looks really gorgeous! Lovely combination of figs and nuts. The spices along with the figs and nuts sound truly delicious. Whirls smell really amazing because of spices! 🙂 Thanks for the comment, Hilda! and have a great weekend! How absolutely gorgeous Mila! Perfect for the season with all the spices too! Thank you very much for the nice comment! 🙂 We need something warm, tasty and a bit spicy for cold evenings! The cookies are so pretty! Figs and walnuts are a gorgeous match! 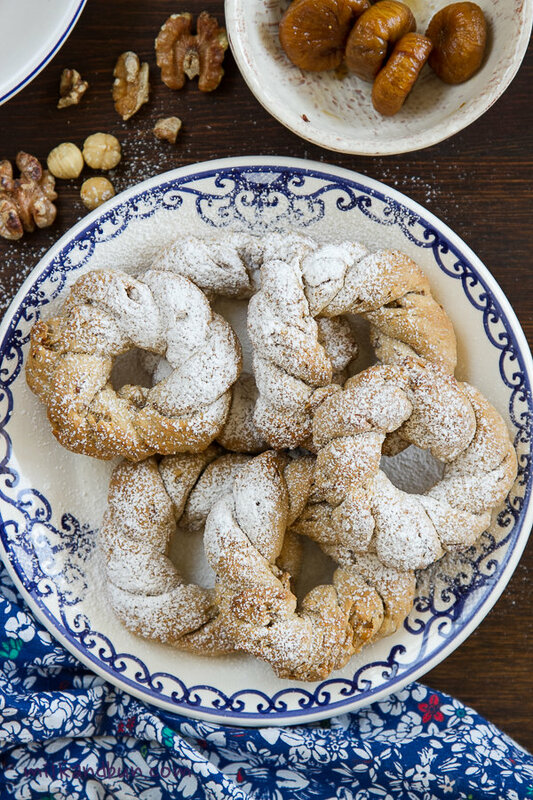 Beautifully braided cookies! Couldn’t agree more! They look amazing and taste delicious! 🙂 Thanks for stopped by, Sabine! Thanks for the commenting and stopping by my blog! 🙂 Whirls taste pretty good, give it a try! Walnut and figs together are a perfect match of ingredients and flavours, but let me tell you that even the the shape you gave catches the eye! They are very beautiful, a perfect cozy Autumn treat! What a unique and beautiful treat. I love how you reconstituted the figs with booze. What great flavor and so expertly shaped. This recipe has everything, texture, flavor and looks. Gorgeous. These look beautiful enough to sit in a bakery window. I also love the way you poached the figs. Delicious! Figs are one of my favorite foods, love that they are poached, lovely treat. These are gorgeous! Very nice! I hope I can find some figs in store…love to try it. Your food photos are awesome! They taste as they look – delicious! 🙂 Thanks for stopped by and liked the post! Already sending.. 😊thanks for the sweet comment!